After about a month, resolve on our new year’s goals may be fading. So let me remind you about the power of habit. When we create habits, we choose to act differently. It’s challenging at first because our brain likes routine. It uses less brain power to do a habit than learn something new, this is why learning something new is a great mental fitness exercise. It forces different thinking to create a different action. New actions are needed for new habits, so initially they’re difficult. But the more we do them, the more consistent patterns, paths and connections we create. While new habits stimulate our brains, we also can use the power of habit to assist in achieving lifestyle goals. Physical exercise has been proven to not only be great for body, but also our brain by stimulating neuroplasticity and increasing blood flow. Making a habit to physically exercise each day is important. So to achieve my goal, I went back to the habit loop. Finding the right cue and reward were crucial and recently, I found mine. Physical and mental benefits abound when I exercise. But so often I get sidetracked and don’t exercise in the morning. By later in the day, well, let’s just say it rarely happens. So, finding a way to exercise in the am was the key. I found a cue to consistently prompt me and a reward I value (aside from the improved physical and mental wellness.). I’ve inserted a change in my day’s routine to add that time for fitness and I’ve felt so much better on the days I do it. We may not all aspire to play in the Super Bowl, but we do aspire a super life. 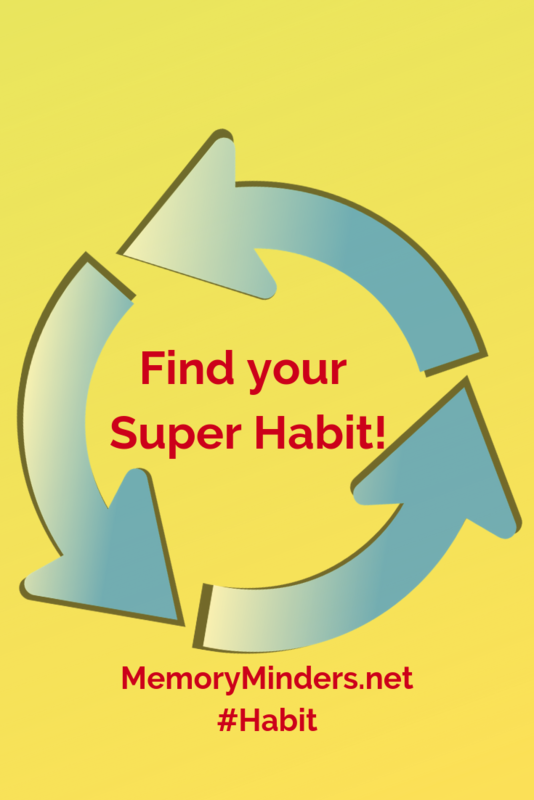 Understanding how habits can help with our goals is a huge step on that path. The small adjustment made to my schedule and habit loop allowed me to address and work on an important goal. Find your cue and reward to create the habit of physical exercise and see just how much it helps your body and mind! Next week, we’ll continue our habit discussion with another lifestyle choice impacting our memory. Also, if you missed the survey in last week’s post, click here to share how I can serve you well this year!